How Far is Life Reva Residency? Reva Residency is a recent project of Life Group located at Sector 22 in Kamothe, just 1 km from Khandeshwar Railway Station. 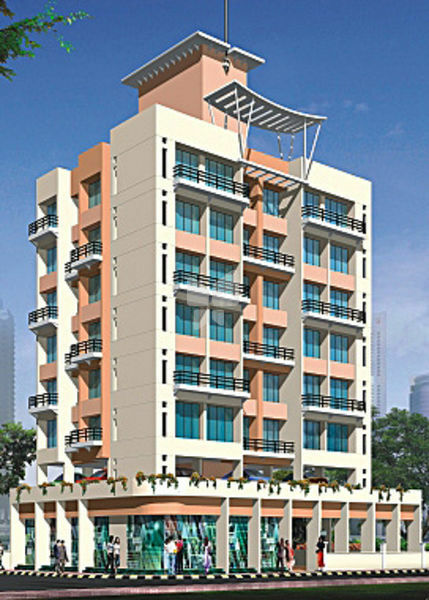 The project offers 2BHK apartments and showrooms at ground level. The neighbourhood is well-facilitated by Garware School, New English School, Saksham Mega Store, Canara Bank, Mahatma Gandhi Mission University, Aishwarya Hotel and a Shiv temple. Uran Road and Mumbai Pune Expressway are also nearby providing good connectivity. RCC frame, earthquake resistant structure. Laminated marine ply doorframes. Marble door frames for toilets. Provision for fixing safety door to entrance door frame. Moulded panelled main door with quality brass fittings. Other flush doors with oil paint finish. 2X2 Joint free tile flooring in all rooms. Concealed plumbing and coloured glazed tile dado. Quality bath and sanitary fittings. Concealed electrification with modular switches. 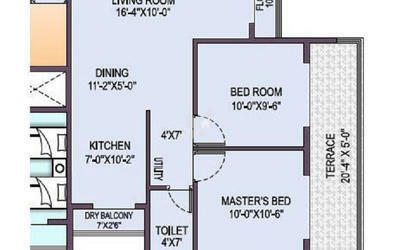 Television and telephone points in living room. Internal surfaces with wall putty or Plaster of Paris. Sand faced plaster for external surfaces. Quality acrylic paint for external surfaces. Oil bound distemper for internal surfaces.